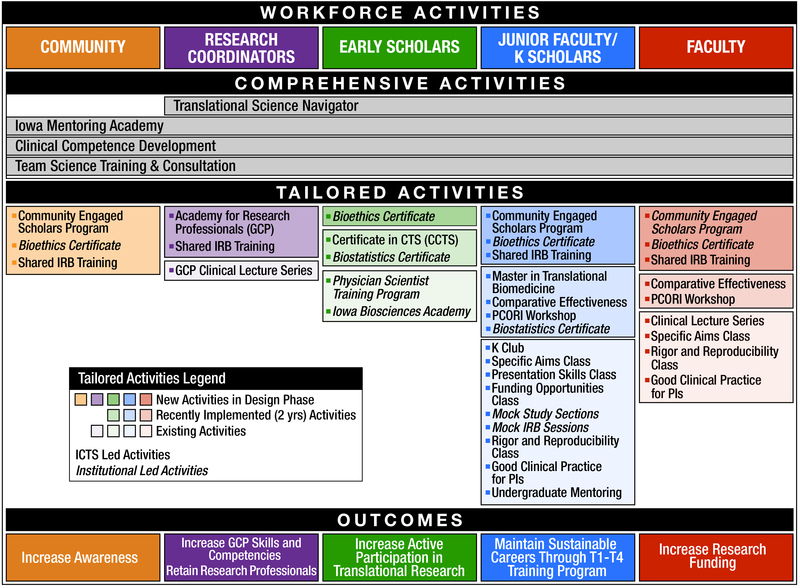 Our primary goal is to train motivated and talented scholars, community members, and research professionals for careers and engagement in translational science. ICTS is developing and delivering educational offerings that are designed to be customizable across our workforce audience. Some of our education programs cross most of our workforce population, while others are targeted to specific audience(s). To learn more about each education program, please browse the menu items.